The InnovAntennas 88-DES-14 is a 14-element Yagi on a 219″ boom. 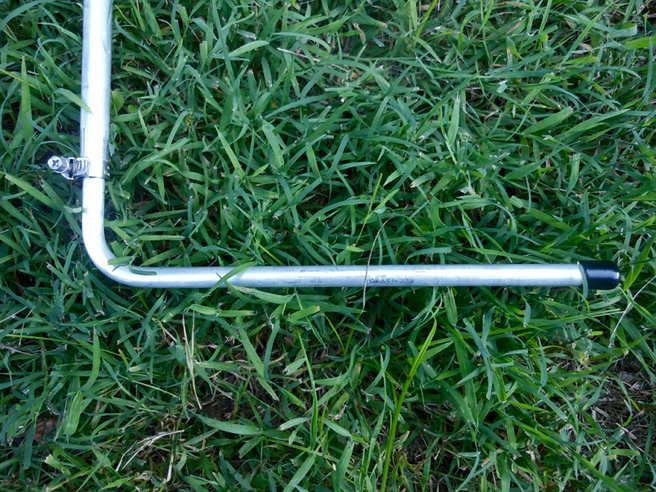 The driven element ends are bent. I modeled the antenna with the AO 9.53 Antenna Optimizer program. This image shows the antenna geometry. The red dot is the 75Ω feedpoint. 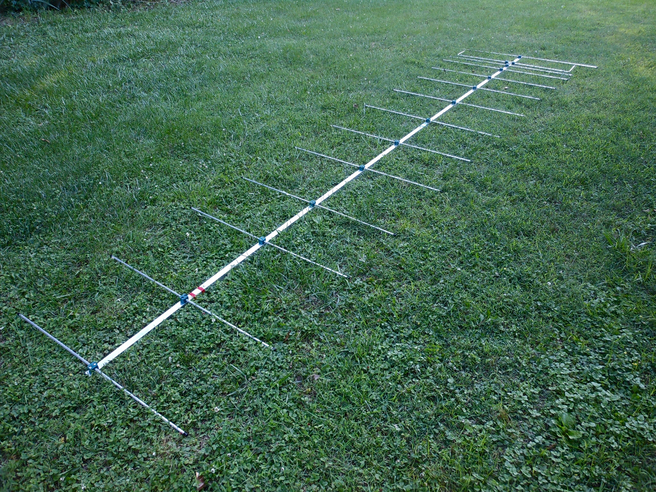 Wes Tewmey assembled this antenna in Watertown, Tennessee. The driven element length is adjustable. I used the "starting point" length from the assembly manual. I did not model dielectric loss or loading due to the plastic end caps all elements use.